Good luck trying to put a star on top of this Christmas tree! 🎄… – Sig Nordal, Jr.
Good luck trying to put a star on top of this Christmas tree! 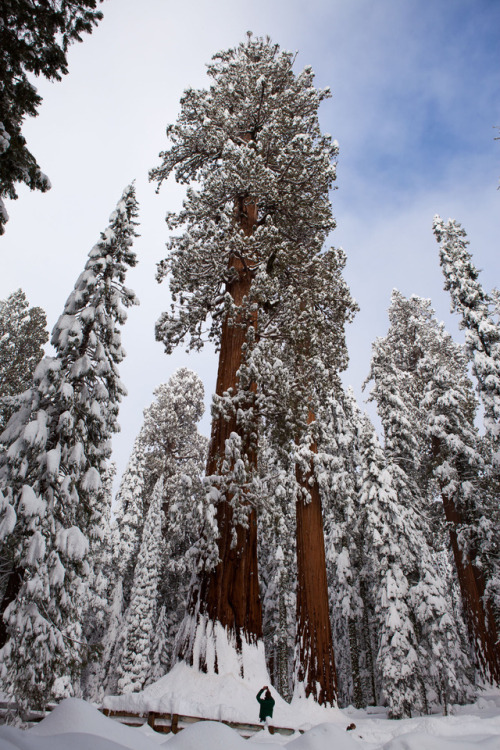 🎄 This time of the year, the towering trees at Sequoia and Kings Canyon National Parks are dressed in their winter best with a layer of snow. It is difficult to comprehend the immense size of the giant sequoias, but it is easy to let your mind and spirit rise as its trunk carries your gaze toward the skies. From all of us at Interior, Merry Christmas and happy holidays! Photo by Aaron Chen (http://ift.tt/18oFfjl).